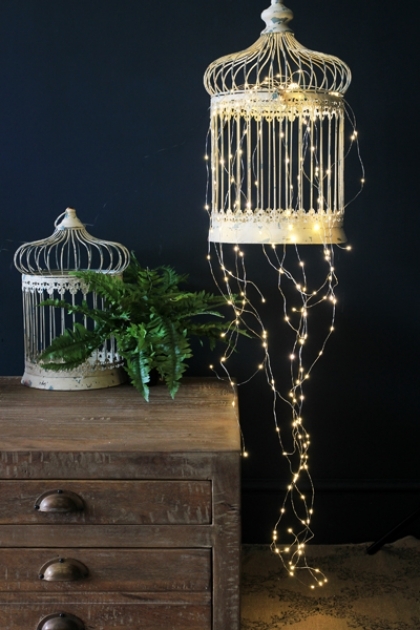 This spray of little lights is simply beautiful. Use indoor or outdoor to create an eye-catching display. They are pictured here falling from a birdcage together with a faux fern, the effect is stunning. 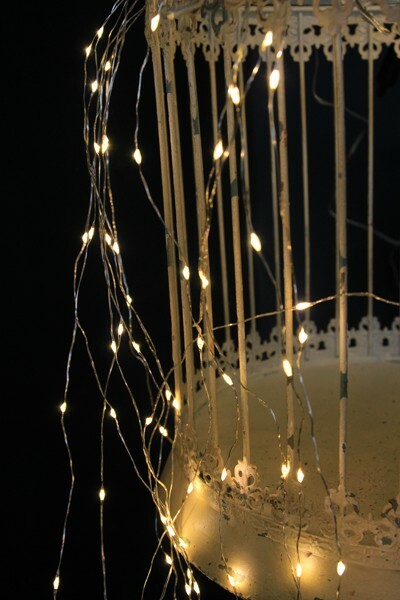 The Sparkle Light Spray includes 8 x 1.5m wires which all have 200 lights. The spray has a flex of 1.5m with a plug and can be used inside or outdoors. A perfect way to light a party or wedding!